"Just the best company. They truly seem like experts in this field. I had specific questions and sent an email... the service department and I were communicating so quickly back and forth, it was like we were texting. A great company... oh, and the jet kit worked perfectly!" "i was leary of using aftermarket and not OEM jets on my 94 cbr1000f but this kit from the calculator +3 mains +1 pilots +2 shims worked flawlessly. i installed kit for a richer mix and power performance. i was very happy with the kit. superfast shipping and great jet size upgrade. i recomend using the calculator." "Bought this jet kit for a 2009 Honda Rebel that was experiencing lean mixture problems. Although I haven't ridden the bike much since installing the kit, the time I have the off idle flat spot and the mid throttle surge are gone. Bike runs great now." "The "D" tool and jets arrived quickly, and where exactly as advertised. The tool works excellent. 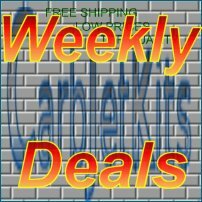 I will be ordering from Carbjetkits.com from now on." "This has been the best money I've spent on my bike yet. All of my lean issues: roll-on studder, deceleration popping, high egts are completely eliminated. The bike has a lot more punch and low end. Feels like a completely different bike. Installation instructions are excellent, shipping was extremely fast, and quality of parts is high. I will definitely use Carbjetkits.com in the future for any other projects I have. " "I've needed a carb jet kit for a year now for my 2012 Honda Rebel and Hovent found a decent priced one anywhere. I contacted carbjetkits website through the "contact us" link and within 45 minutes they had added my jet kit to their products line AND their Jet Kit Calculator. Outstanding customer Service!" "Purchased the BRT-36 for my 96 Honda Magna. Great application!! Using clear lens the red LEDs look and equal the glow of the break light. Neither over power the other. Looks Great!! If motorists don't see my break lights now they''re not pay attention!! Great Product!! Thanks!! " "Just finished Honda CB 750 K main jet up and needle shims and although this is my first time working on motorcycle carbs at all the instructions on the sight were easily followed even though example did not match exactly what I had.. The instal went by smoothly. After removing carbs the install of jets and shims took about ten minutes..